I used glued vellum to a white sheet of paper and then applied it to the black card. I embossed the next sheet and the hearts and the gold strip are glittery. Pretty layout. Love the embossing. This is a really great card and could even be given to a husband without being too girly. since you don't love it try mounting your embossed piece with either a thin piece of gold or black. 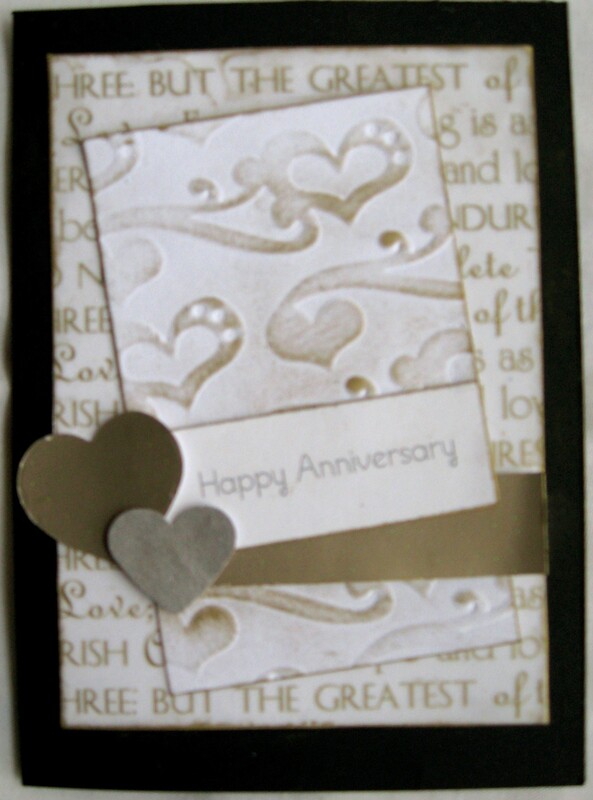 Or mount the Happy Anniversary piece on a thin black to separate it from the background? See if you like that any better. I love the word paper in the background....cool that it was vellum you made more sold by backing it with paper. I don't think it looks bad.